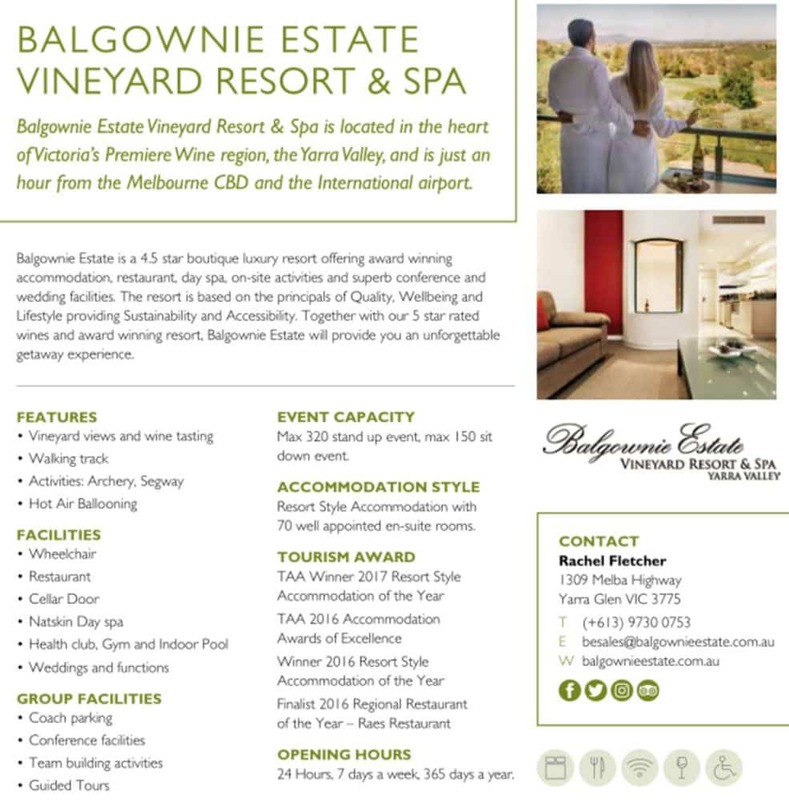 Balgownie Estate is a winery located in the Yarra Valley, just 50 minutes east from Melbourne. Within the winery, there is a 4.5 boutique luxury resort which is set on 30 acres within a beautiful vineyard setting. 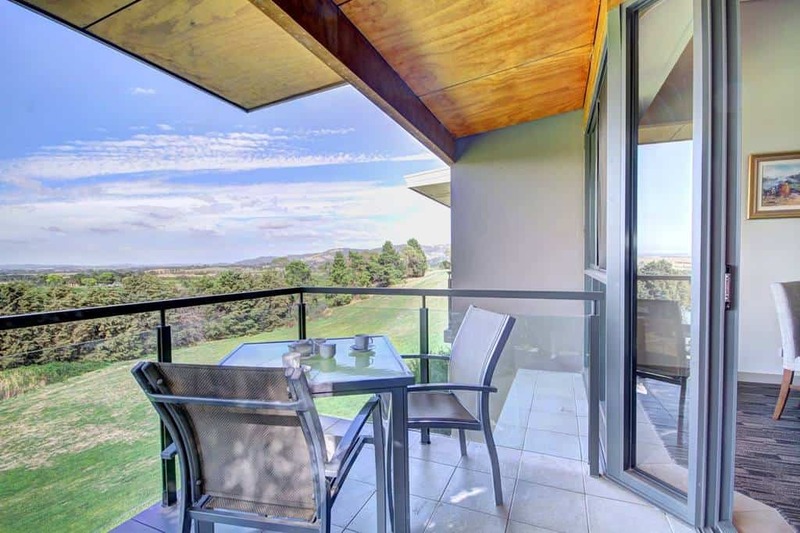 Balgownie Estate is proud to offer guests a perfect balance of quality, wellbeing and lifestyle and invites visitors to come and stay at their beautiful winery accommodation. The resort offers a wide choice of excellent accommodation units within its charming garden setting. 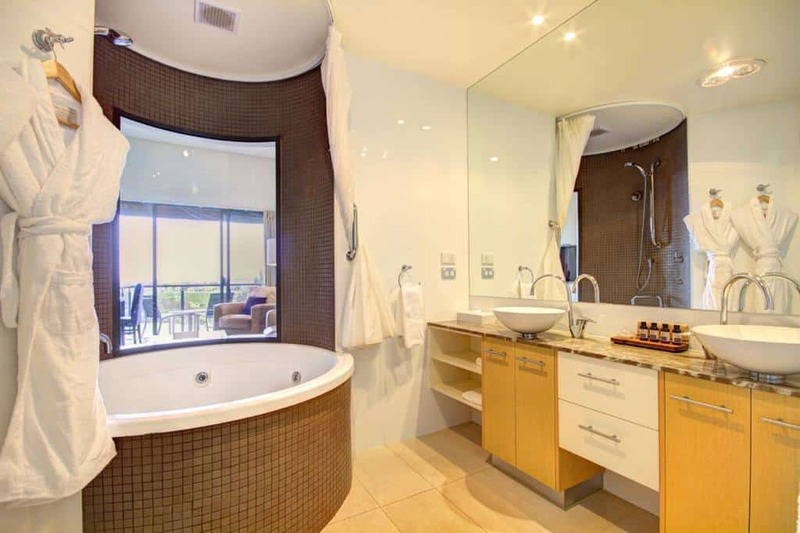 Therea re 69 spa suits each with its own private spa which gives you magnificent views of the charming Yarra Valley. 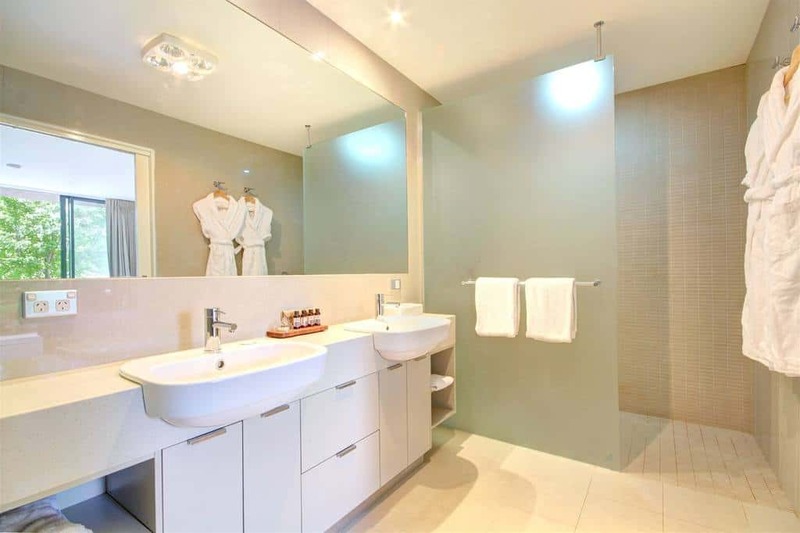 There are also a range of garden suites with kitchen, lounge and private ensuite. 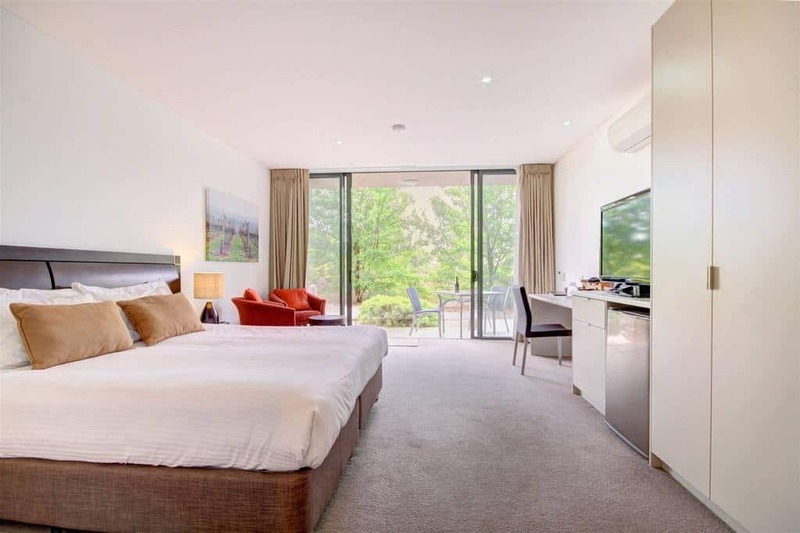 Sitting high on a hill overlooking the Great Dividing Range, this vineyard resort and spa is a perfect romantic setting in which you can indulge. Balgownie Estate Vineyard is also renowned for its award-winning wine varieties. Surf through their diverse cellar door featuring a large variety of Chardonnay, Cabernet Sauvignon, Pinot Noir and Shiraz. You will be able to try all of Balgownie Estate’s award winning wines as well as their flagship Estate Cabernet Sauvignon and Estate Shiraz from their original 40 year old vines in Bendigo. During your stay, ensure you make a reservation at the onsite restaurant; Rae’s. From casual coffees, to tasty breakfasts, light lunches or intimate dinners, Rae’s Restaurant has you covered. Facilities at Balgownie Estate also include a day spa, conference facilities, wedding services, compliementary internet, 24 hour reception, wine and cocktail bar, indoor heated pool, steam room, gym, tennis court and segway activity trail. 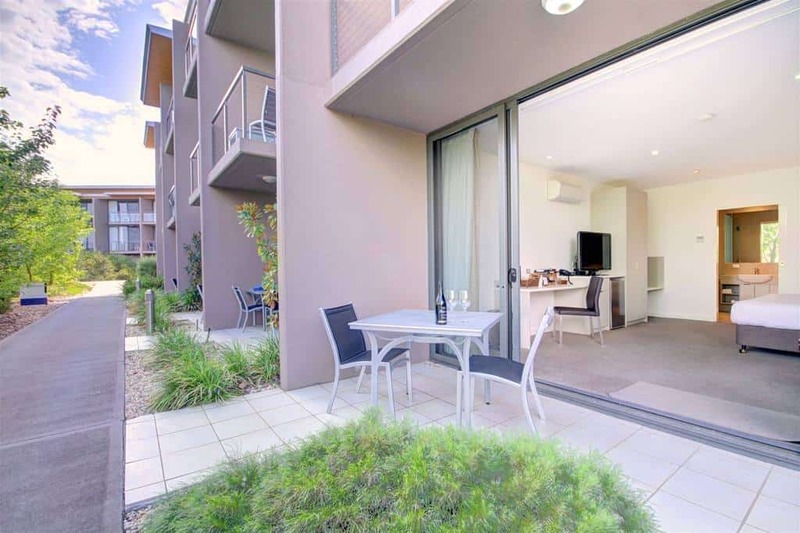 Click the link below to book your accommodation at Balgownie Estate today.